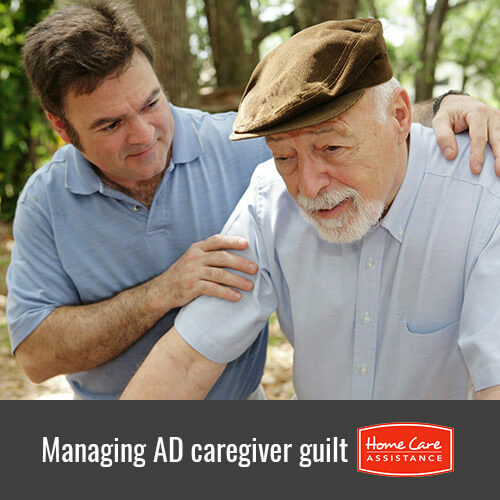 Pawleys Island Alzheimer’s caregivers often experience a wide range of emotions, especially guilt, when caring for a senior with the disease. If you are an Alzheimer’s caregiver, then realize that what you are feeling is perfectly normal. Finding support can be key to dealing with your emotions. Understand that you need to take care of yourself, too. Eat a balanced diet, get enough sleep and get some exercise to keep your body and mind at its strongest. If that doesn’t work, here are a few ways you can manage and ease your feelings of guilt. The Alzheimer’s Association operates a very active community where Pawleys Island dementia caregivers can talk about what they are feeling and ask questions about this debilitating disease. They also offer a 24-hour hotline at 1-800-272-3900 that is staffed with trained professionals who are willing to lend a listening ear and offer helpful advice. The Caregiver Action Network maintains active forums where people can share their feelings, ask questions and receive support. One area of their site allows caregivers to share their personal stories, which can be very therapeutic to read. While much of the site is dedicated to all caregivers, those caregivers providing services to seniors with Alzheimer’s can find a specialized forum just for them. Do not overlook the importance of asking family and friends for help. Find someone that you can talk to that will listen with their ears and their hearts. Often times, simply expressing your emotions can help you see things in a whole new light and purge your feelings of stress and guilt. While it is important that you reach out for support, there are other actions that you can take to ease any guilt you feel. One of them is to set aside a part of each day to journal, as many find it helpful to get their thoughts down on paper. Spend another part of each day doing something that you enjoy doing. It may be a simple art project or curling up with a good book. While you may feel overwhelmed with the job of taking care of an individual with Alzheimer’s, you must understand that your feelings are natural. 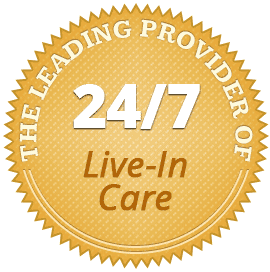 If you need a break, contact Home Care Assistance at (843) 353-3105. Our Alzheimer’s caregivers are available 24/7 to provide compassionate respite home care Pawleys Island families need to unwind and decompress. Let us help you and your loved one when you call today.